Also known as the Celtic symbol for trinity, the Triquetra is rife with symbolism. Among the most popular meanings are: mind, body and spirit; mother, father, child; past, present, future; father son and holy spirit; and mother, maiden and crone. 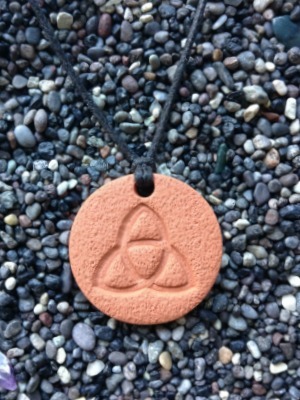 The Triquetra Pendant measures 2.8 cm (1 1/8 in) across. I love this pendant and use lavender as my oil. Thanks so for having this wonderful online store.